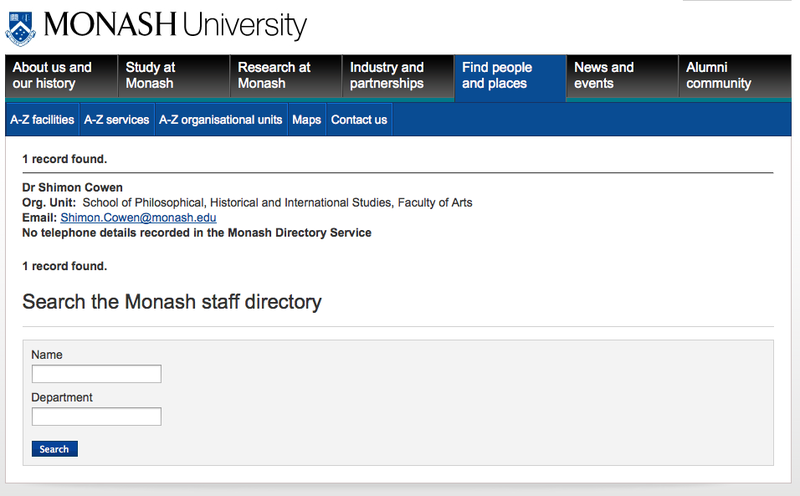 According to Monash University “Dr Shimon Cowen’s is no longer an associate at Monash University (and was not an Associate here at the time of writing his opinion piece)”. However as of February 18, 2012 his name still appears in the staff directory. Seems he’s lingering like a bad smell. This entry was posted on Sat, Feb 18th, 2012 at 12:03 am and is filed under Education. You can follow any responses to this entry through the RSS 2.0 feed. You can leave a response, or trackback from your own site.